Here come the leaks. Two unnamed law enforcement officials say Dylann Roof confessed to the Charleston shootings. 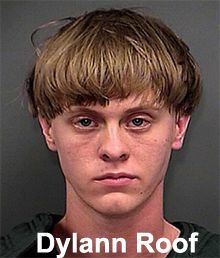 Alleged Charleston Shooter in Custody in S.C.
21-year-old Dylann Storm Roof, of Eastover, SC, is in custody in Charleston, SC. He was arrested after a traffic stop in Shelby, NC, waived extradition and was flown back to Charleston.